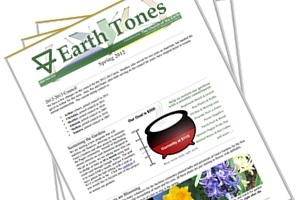 Church of the Earth’s quarterly newsletter is about to be released. There are some fabulous articles this quarter and we don’t want you to miss out! If you are already subscribed, keep an eye on your email. If you wish to subscribe, you can sign up here. Don’t forget to keep an eye out on the blog here for some great information over the next quarter. Have a blessed day!